The internationally bestselling self-empowerment book from influencer, rapper, and spoken word artist Humble the Poet, now available in a new edition with a new foreword by the author. Unlearn offers short, accessible, and counterintuitive lessons for reaching our full potential. Beloved for his sincerity, playfulness, and sage advice, globally famous rapper, spoken word artist, poet, blogger, and influencer Humble the Poet has traditionally shared his message of self-discovery, creativity, and empowerment with his fans through music and written word. That message has now been extended to this empowering book, offering insights and wisdom that challenge conventional thinking and help you tap into your best, most authentic self. Profound in its simplicity, Unlearn is the perfect invitation to a new beginning and to pursue a life of fulfillment. 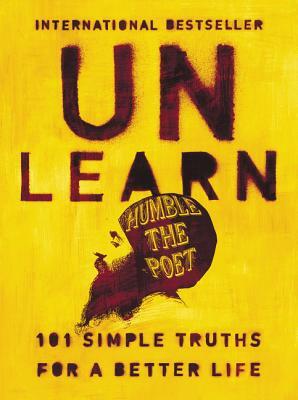 HUMBLE THE POET, AKA KANWER SINGH, is a Canadian-born rapper, spoken-word artist, poet, international bestselling author, and former elementary school teacher with a wildly popular blog of over 100,000 monthly readers. He has over 930,000 social media followers and his first book, Unlearn, is a Globe & Mail bestseller in Canada. He has performed at concerts and festivals including Lollapalooza and been featured in major media including Buzzfeed and Huffington Post. Visit him at HumbleThePoet.com.